Jenny combined her lifelong love of choral music and her career as an arts administrator to form Melodia in 2003. She has a B.A. in music and English from Leeds University, England, and an M.A. in arts management from New York University. 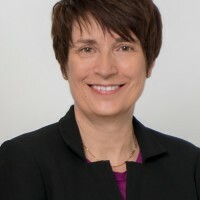 In addition to singing with Melodia – her true passion – Jenny has sung with the Royal Choral Society in England, and Riverside Choral Society in New York, performing at venues including Avery Fisher Hall (Mostly Mozart Festival), Alice Tully Hall, Carnegie Hall, Symphony Space, and Merkin Concert Hall. Jenny has worked extensively in arts administration in music, theater, and dance in London and – for the past 25 years – in New York, including at Symphony Space, Chamber Music America and the Queens Museum. Jenny is currently the Managing Director of the NYC Arts in Education Roundtable, a community of NYC-based arts organizations that provide arts education programs to NYC schools and beyond. She also provides consulting services to non-profit arts organizations in New York. Cynthia celebrates her 14th season with Melodia. A graduate of Westminster Choir College, she has worked with numerous musical groups in the NY metropolitan area and has conducted many major works for chorus and orchestra. She has served on the guest faculty at Sarah Lawrence College, led the St. George’s Choral Society in NYC, and was a guest conductor at the International Choral Festival in Havana, Cuba. She is also the Artistic Director of the Stonewall Chorale, and currently serves as Director of Music and Organist at West End Collegiate Church in NYC, and Organist/Choirmaster of Temple Sinai in Tenafly, NJ. Her passion for music and commitment to the choral art is coupled with a desire to generate awareness and funds for timely causes, and she has produced recitals, oratorios and concerts to benefit Bailey House, a homeless residence for people with AIDS, for Doctors Without Borders, the Pastors for Peace Cuba Caravan, and Water is Life, Kenya. She has performed at Lincoln Center, the Guggenheim, BAM, the Whitney Museum and Zankel Hall with composer Meredith Monk, and has toured the U.S. and Europe in various works by Monk. 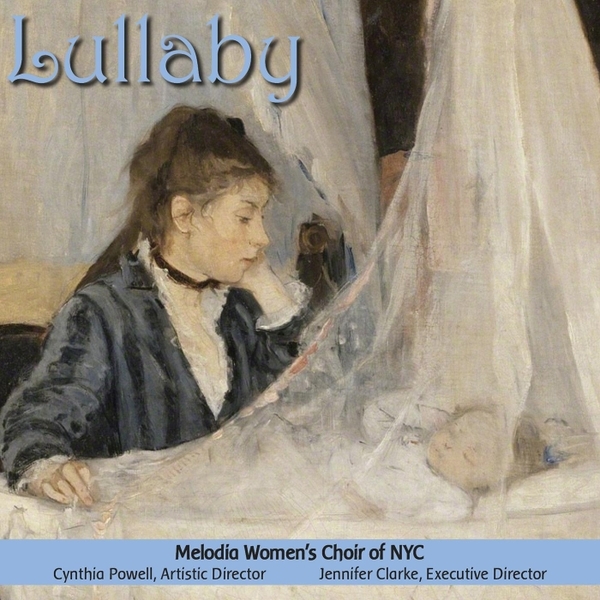 Featured in GO Magazine’s ‘Women at the Helm’ series, Powell conducted the Stonewall Chorale and members of Melodia Women’s Choir in a gala benefit concert for the American Cancer Society at Carnegie Hall, with Julie Andrews as the honoree. She is among a group of NYC conductors who regularly lead the massed chorus at the NewYork Choral Consortium’s Annual Big Sing. Having performed extensively in Italy, The Netherlands, Belgium, Israel, Canada and the United States with many leading singers and instrumentalists, pianist Taisiya Pushkar is in demand as a dynamic performer and a sensitive collaborator. A long-time musical partnership with the cellist Amber Docters van Leeuwen has led to the recording of their debut CD, which has been released on the Brilliant Classics label. Together, the duo has made their debut at Weill Recital Hall at Carnegie Hall in New York, and at the Concertgebouw in Amsterdam. Pushkar has been honored with a three year fellowship from the Sorel Organization, whose generous sponsorship took her as a performer and vocal coach to the Songfest festival in California, and the renowned Daniel Ferro Vocal Program in Italy. This season, Taisiya has appeared on the acclaimed “What Makes it Great?” series at Merkin Concert Hall with Rob Kapilow, performing Beethoven’s “Kreutzer” sonata for violin and piano. In addition to Melodia, Taisiya also collaborates with the Young People’s Chorus of NYC, is on the faculty of the Lucy Moses School and the Ethical Culture Fieldston School, and is a teaching artist for the Manhattan School of Music Distance Learning Center. Dr. Pushkar holds a BM from Oberlin College, and a MM and DMA from the Manhattan School of Music. She has been the official pianist of the Melodia since 2009.